Ralph Breaks the Internet came out this week and I finally got a chance to see it. The movie is directed by Rich Moore and Phil Johnston and stars John C. Riley, Sarah Silverman, Taraji P. Henson, Gal Gadot and more. I loved the first movie so I was super excited for this one. It isn’t as good as the first one but it is still a very enjoyable movie. One of my favourite things about this movie is the Ralph and Vanellope relationship. The way these two bounce off each other is great and the time jump was used effectively to make the two characters a lot closer. Their relationship is the heart of the movie and led to some extremely emotional scenes towards the end of the movie. This movie also has a great message for kids and adults about letting go and toxic relationships that I think a lot of people will appreciate. I also didn’t expect the movie to tackle more mature themes but I’m glad they did towards the end. Another aspect of this film that worked were the cameos and easter eggs. There are several for Marvel, Star Wars and Disney fans to enjoy and one of the cameos actually made me a little emotional. The Disney Princesses were definitely the highlight to me. They were absolutely hilarious and it was great to have most of the voice actresses return for their roles. The song joke was hilarious to me and they also come back later in the movie and it’s great. This movie also handled the internet well. It definitely wasn’t perfect but some of the jokes worked. I know this is a Disney movie but apart from a comments scene it felt very censored. They only showed the good side. A lot of the internet related jokes fell flat for me as well. The eBay one at the start does not work at all. This is where the movie ultimately falls short when compared to the first one. Even though there are a bunch of funny jokes, some of them did not work for me. Something that the movie did handle really well were the new characters. Yesss was hilarious and I loved her interactions with Ralph in the movie. I’m also not a huge fan of Gal Gadot. I love Wonder Woman, but I don’t think she is that great in that movie. And I don’t like her at all in anything else. I was extremely surprised by how much I enjoyed her character in this movie. Shank was one of the highlights to me and she has a great moment with Vanellope. Furthermore, the world building in this movie is also great although I don’t think it was handled as well as the first one. I loved a lot of the concepts they developed like the ‘insecurity virus’ and the whole breaking the internet sequence was well executed. The animation in this movie is gorgeous. Nearly every scene looks great and the different worlds look great. The action is also really well-directed. The car chase was extremely entertaining and the final battle was also super fun to watch. One of the other problems I had with the movie was the structure of it. It takes time to really get going and the movie doesn’t flow as well as the second one did. I feel like this was because the movie kept jumping between the main characters and that felt a little jarring at points. Another quick thing I wanted to mention. STAY FOR THE SECOND POST CREDIT SCENE. It is one of the greatest teasers of all time and it’s worth buying a ticket just for the teaser. I won’t spoil what it is, but let’s just say it was a trailer for a highly anticipated movie. Overall, Ralph Breaks the Internet was a well made sequel filled with great character moments and surprisingly mature themes. It isn’t as good as the first but is still definitely worth your money. I’m going to give it a B+. probably be returning to see more, thanks for the info! Hello very nice web site!! Guy .. Beautiful .. Superb ..
submit, we need develop more strategies on this regard, thanks for sharing. the easiest thing to be aware of. I say to you, I certainly get annoyed while people consider worries that they just don’t know about. to bookmark your blog and definitely will come back someday. I am glad to be one of many visitants on this outstanding site (:, regards for posting. I am glad to find a lot of useful info here in the submit, we want work out extra techniques in this regard, thank you for sharing. 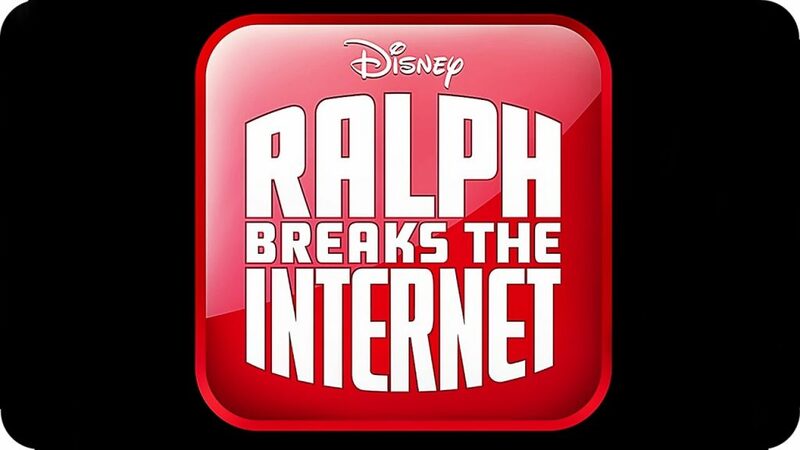 Thanks for finally talking about >Ralph Breaks the Internet – Movie Review | The Film Console <Liked it! I truly do take pleasure in writing however it just seems like the first 10 to 15 minutes are generally lost just trying to figure out how to begin. Any recommendations or tips? And i am glad reading your article. But want to remark on few general things, The website style is wonderful, the articles is really great : D.
this website dailly and take good facts from here everyday.